If you have a preschooler or a bigger child that you want to teach the ABC, this letter of the week kit is for you!!! Note: This week forward the letter of the week kits will not include the i-spy activity. This activity is part of the A to Z finding a pet for me. If you and your child liked this activity we are inviting you to buy the book here. This is also a great way to support Miss Yuli’s class and enable us to create more FREE fun activities. If you want to learn more about the book you can find additional information and look inside here. Just go to MissYuli’sCalss facebook page write in the comment of the first pinned post about the workshop : “Yes I want to join” (ok, other text will work just as well ) and you will be updated when the workshop starts. The workshop will begin when enough people are enroled so if you want more kits like this one and you want to join the workshop sign in now. I am following your letter of the weeks and they are great. My son loves them so much. 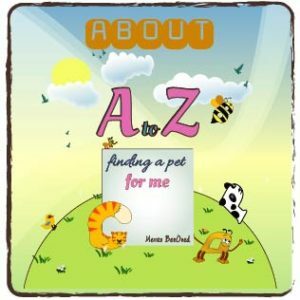 I bought the a to z finding a pet for me and was amazed how fun it was for my son and how much he learned. keep up the good work. Thank you, this is so wonderful to hear. Hope you stay tuned for the next letters.